Ahh, c'mon! you do it, too don't you? Or, should that be "don't do it"? Procrastinate- an overlong word for whittling time. At best procrastination is such pure self-expression it's almost an art form. All those little things you do to evade the task at hand, so intimate and personal to the procrastinator, cleaning hammers, winding clocks or re-arranging spice jars. You could make it into an installation. Then again, there is the element of ritual and repetition to consider. 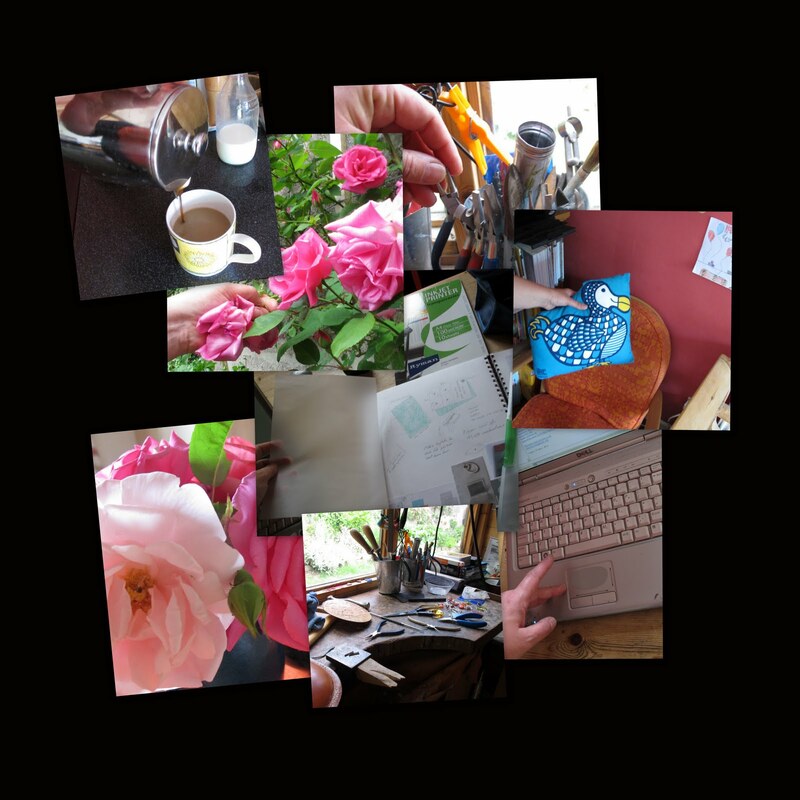 This weekend, for example I could not start my project until I had squandered precious time on tidying my workbench, checking my email, making more coffee, pruning roses. I confess, I am a serial time-thief and have done the very same things so often before. Maybe I'm fooling myself, but I like the work I produce close to a deadline, even if that deadline is self imposed. The trick is knowing when to stop. Procrastination, for me, is part of the creative process, an important part. Writing this blog has been a perfect exercise in time-eating, head-clearing, spell casting , that will, hopefully, allow me to finish my project on time - a productive bit of un-productivity. My only regret is I think maybe I've stolen a little of your time, too. Lovely to have it stolen! I thought I was the only creative procrastinator. I'm best with deadlines and project timelines. We really are just super intelligent beings who have an innate sense of timing and we know when to get to work. I always build into my life "margin", like the margin on a piece of paper for extra taking notes. I never fill up the margins in case of emergencies. Everything we do while time passes makes us what we are, we learn, find new insights,create.